Michalis Senis is an Electrical and Computer Science Engineer with unique experience in airport’s ICT systems start-ups & operations. He received his MSc/D.I.C. in Communications and Digital Signal Processing from Imperial College of London. During his extensive 22-year career mostly in the Aviation industry he has been involved in key ICT management roles in Vodafone & Athens International Airport. 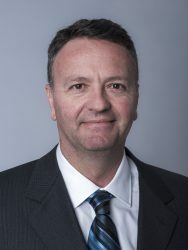 Since 2003 he has been involved in numerous airport ICT projects around the globe, having a unique track record for assisting airport start-ups and ICT transformations in international airports. In 2015 he joined Munich Airport as Senior ICT business consultant, leading the ICT service portfolio and providing services for empowering Airport Business through ICT transformation. He is a chartered Engineer, ITIL v3 and PMP certified.